Blue Marble Geographics has released Global Mapper v.20.1, the latest version of its GIS software. According to the company, version 20.1 offers a wealth of new and updated geospatial tools, as well as performance improvements throughout the application. Enhancements to version 20.1 include a new zooming function in the path profile window, a digitizer tool for automatically closing gaps between features and, for lidar module users, a point proximity query function. 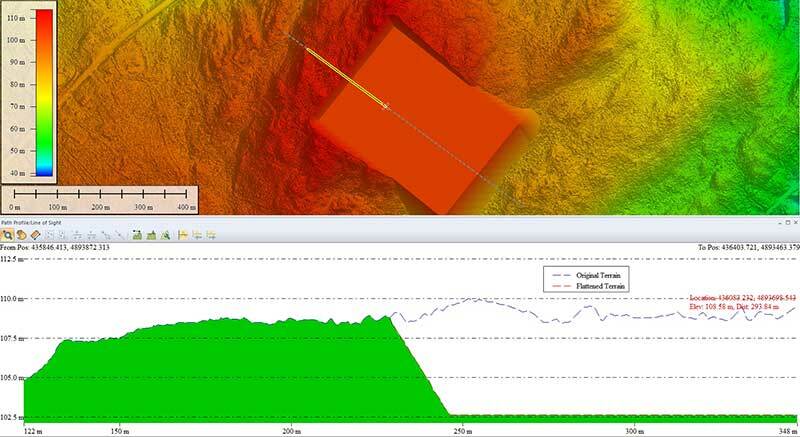 Global Mapper’s path profile tool, which is used to create a cutaway view of a terrain layer or point cloud, now offers a simple way to zoom in the view for a close-in perspective of a specific area, the company said. It also now includes a new legend display that differentiates each individual layer when multiple overlapping surfaces are displayed. The software’s digitizer now includes a simple tool for eliminating slivers or overlapping areas from adjacent features, ensuring the topological integrity of the data. In addition, users can now use an added option that allows the establishment of a default projection, with every imported layer automatically reprojected to adhere to this system. Finally, version 20.1 release offers new and upgraded functionality in the lidar module. The module now features a proximity search function that highlights points of a particular classification within a certain distance of other point types or line features.